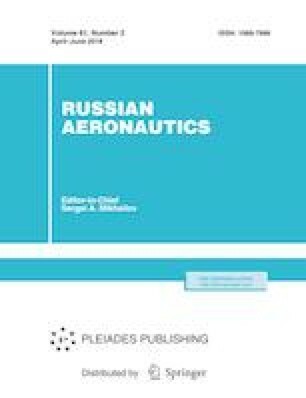 Based on a flight experiment, the difference between the total aircraft noise level and the ambient noise is proposed to be used as an audibility criterion for unmanned aerial vehicles equipped with piston engines. It is found that the unmanned aerial vehicle becomes audible for an observer at a criterion value of 3 dBA. Original Russian Text © P.A. Moshkov, V.F. Samokhin, A.A. Yakovlev, 2018, published in Izvestiya Vysshikh Uchebnykh Zavedenii, Aviatsionnaya Tekhnika, 2018, No. 2, pp. 3–9.